"President Bashar Al-Assad is the leader of Arab Nationalism and of all honest Arabs, who are defending the Arab people's independence and sovereignty. President Al-Assad will triumph in the war waged against Syria by the hawks of the U.S. Democratic Party, Britain, France, Israel and the Unites States' agents in Ankara, Doha and Riyadh. Syria under President Al-Assad is indeed the last defense line for civilization and Europe is indebted to the Syrians who have been defending civilizations against terrorists." 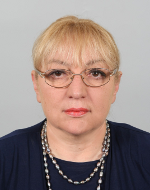 Magdalena Tasheva, Bulgarian Member of Parliament, August 2016. Patterns have long since emerged. We know that each illegal war of conquest is prefaced by a Public Relations campaign that demonizes the target country’s leader and its government as it lies about on-the-ground realities. Muammar Gaddafi, for example, was presented to Western media consumers as a lunatic and despot. The Western narratives, however, were contradicted by the fact that he earned broad-based support from Libyans, all of whom enjoyed public services such as free healthcare and schooling, and a high standard of living. The same demonization campaign is being waged against the hugely popular Dr. Bashar al-Assad, the democratically –elected President of Syria. 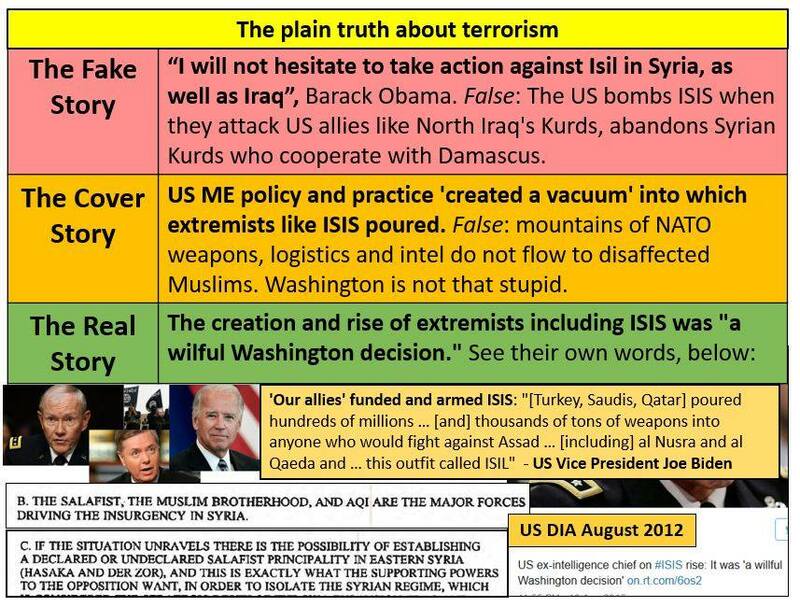 Terrorist –embedded propagandists teach us that he is an evil dictator who kills his own people, and that “he must go”; however, credible evidence inverts this logic.
" President Assad must stay, for the sake of civilization, and for the sake of destroying Western-backed terrorism." The reality is an inversion of the propaganda lies fed to Western audiences. In fact, President Assad must stay, for the sake of civilization, and for the sake of destroying Western-backed terrorism. Each time Empire succeeds in destroying another country, the problem of terrorism worsens – as might be expected. The destruction of Libya, for example, set the stage for the attempted destruction of Syria. Weapons stolen from Libyan armouries, thanks to the invasion, were covertly shipped to Syria – all beneath the radar of the U.S Congress. And none of this is accidental. Sustainable Western open-source documentation demonstrates that the growth of terrorism is willful, and according to Western plans. The propaganda lies, the false flags, the terrorist-embedded NGOs , and the use of terrorist proxies to criminally destroy one country after another, is not only empowering terrorism world-wide, but it is also leading us to engineered conflict with nuclear-armed countries, in particular, Russia. Whereas the propaganda lies further the causes of barbarity and ignorance, as best exemplified by the women who burn their burqas --- once freed from terrorist held areas of Syria-- we need a redirection towards the polar opposite: towards trajectories that support civilization, progress, and the rule of law. We need to shift from Death Industries of the Military Industrial Complex, to Life Industries that serve, rather than destroy, humanity. We also need a strong anti-war movement based on a broad-based support of the truth, and a broad-based rejection of the “governing” lies. Mark is a retired high school teacher. Had there been a Nobel prize for fighting terrorism, President Bashar Al-Assad should have been so awarded, a just point in light of the ongoing raised by the Editor-in-Chief; the reaction of Prof. Anderson was very supportive and he strongly stated that H.E. President Assad has indeed been on behalf of the entire world fighting terrorism in defense of his citizens as well of all humans worldwide. Syria has been on behalf of the entire world fighting terrorism and , thanks to the Syrian Army and its allies, is winning the war against terrorism and its backers Turkey and the Saudi Wahabbis. The achievements of the Syrian Army and allied forces, especially following the liberation of Palmyra, advances in Aleppo and the Russian airstrikes against daesh smuggling oil conveys, have forced many worldwide to recognize the role of Syria and the need for such a fight against terrorism in the interest of the world. The sovereignty of Syria should be respected and the bids to subjugate and dominate Syria failed. The role of Russia, Iran and Hezbollah in fighting terrorism is great and remarkable, Prof Anderson highlighted, citing the role of the Axis of Resistance which has been bolstered and distinguished during the war. President Al-Assad is in all of his diplomatic and decisive stances the thrilling voice of logic and reason in the world. H.E. the Syrian President is highly cultured and popular yet he has been at the center of Western and ignorant attacks and propaganda. 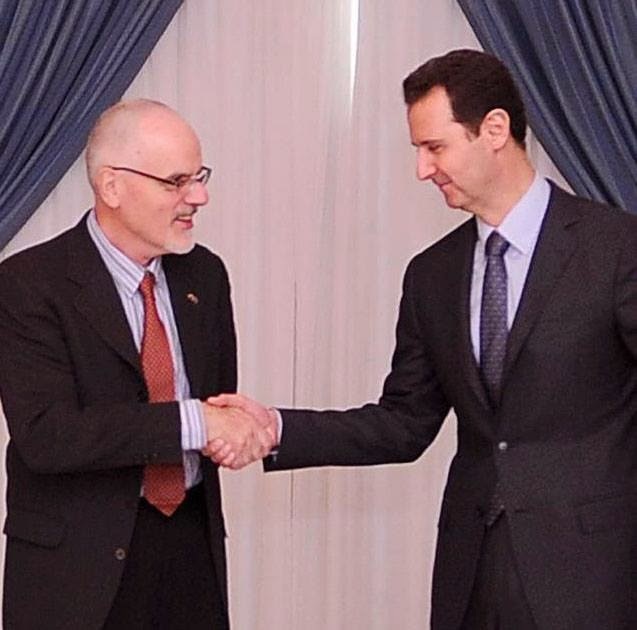 I had the honor of meeting President Al-Assad in 2013 when my organization Hands Off Syria requested the meeting as to show solidarity with the Syrian people. H.E. is the extraordinary leading voice of reason, Syrian values, culture and rich civilization and the embodiment of bravery, courage, firmness and strength in defending his country, its sovereignty and integrity against terrorism and evil forces of darkness. H.E. 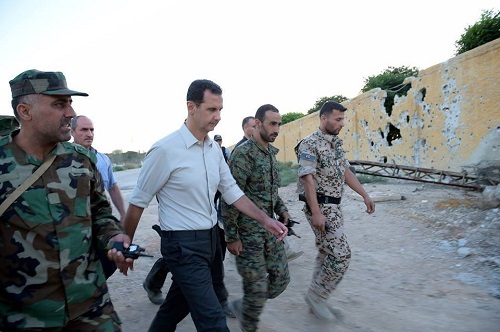 President Bashar Al-Assad's yesterday field visit to the frontlines with the foreign-backed multinational terrorists has indeed been heroism of leadership and presidency . Among his family members, the hero and brave Army and Defense Forces, President Assad toured and inspected the frontlines with exceptional bravery, determination and humanity! Words are not suffice to describe or give the exact expressions about Assad's heroism and fight against terrorism in defense of all humans everywhere. Deeds and heroic deeds in defense of sovereignty, independency, freedom, light and civilization could but give a hint regarding President Assad's frequent visits, be announced or not, to where none can tread but the Lion! H.E. President Bashar Al-Assad is a highly educated man, highly respected and has carried out many reforms and changes, including the writing of a new Constitution, and holding Presidential and Parliamentary elections, said Eva, adding that President Assad could have fled his country and lived at ease abroad but that he stayed heroically defending his country and Syrians in fighting terrorism on behalf of the world. The First Lady, Asma Al-Assad's role and extensive humanitarian work should also be noted. Last year, before Christmas, I attended an Al-Farah concert. The day before, at choir practice, the President and the First Lady dropped in on the choir. Photos and videos showed thrilled choir members, happy, smiling at the visit. 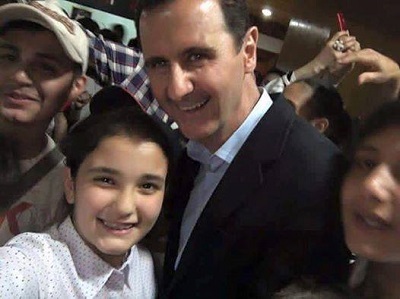 He has popular support as President more than most world leaders, including notably those in countries like France, Canada, the USA, Germany and others, confidently asserted Eva, by way of example, singing in Arabic what millions of Syrians chant: ' Allah, Syria, and Bashar'. Eva noted the many massive demonstrations in support for President al-Assad, since early 2011 onwards. Eva Bartlett, Prominent Canadian Journalist and co-founder and member of the Steering Committee of the Syria Solidarity Movement (www.syriasolidaritymovement.org, June, 2016. 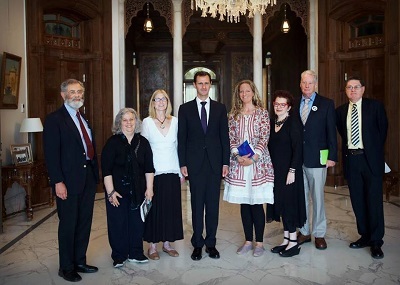 The man whom the US calls a "brutal dictator" and his beautiful wife out and about in Damascus yesterday... President Bashar al-Assad. Now a leader being popular and having charisma does not mean he is good and it does not mean he is bad. We have to look at why he is popular; what he stands for; and his words, policies and actions. Compare President Assad to our candidates for president. 1. He was offered a blank check by the wicked Saudis to leave Syria. At the same time there is a blank check for anyone who kills him. But he refused, saying anyone can be president, but I am Syrian, I was born in Syria and I will die in Syria. He and his wife and children live in a modest home and he often drives himself around the city. He has the support and approval of about 75% of Syrians: Sunnis, Alawites, Christians and Druze. 2. 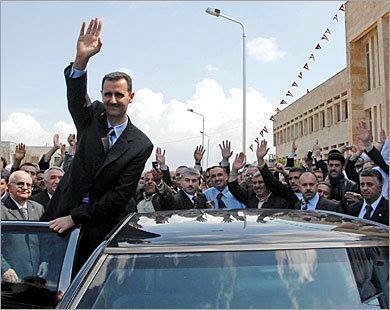 His government is not an Alawite regime ruled by one family. The government is predominantly Sunni as is the army. Their excellent Defense Minister at the start of the war was a Christian but he was murdered with many other leaders by the US backed extremists who are sponsored by Saudi. The country ruled by a single family is Saudi Arabia. The name of the country was changed to SAUDI Arabia to reflect this fact. H.E. President Bashar Hafez Al-Assad has been, at least for the past 5 years, the target for a sinister campaign by the disillusioned non-Syrians ever living in heavily-guarded garrisons of treason, blackmail, exploitation and shadows of past colonialism. The President of the Syrian Arab Republic, H.E. Bashar Al-Assad is living among his citizens, and for the majority, is living in the hearts of their hearts, as their defender, protector and savior, at least from the ongoing foreign-backed terrorist war! The Leader against Al-Qaeda and Wahabbi affiliated terrorists is President Assad. 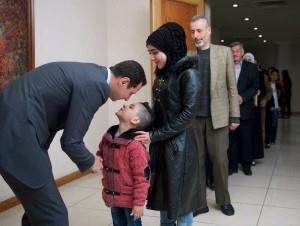 The treasures for President Assad are the majority of the Syrians, true friends and brothers. Simply and accurately speaking, for the majority he is everything sacred and noble and priceless. What is more of demonization, distortions and fabrications? Nonsense! Futile, stupid! The majority's spiritual umbilical cord with their President is unshakeable, non-penetrable and unbreakable. Here we all, children, women, men, elderly.. live, study, work, struggle together : one for all and all for one. The Syrians real treasure is their president, whose only real treasure is the victory against terrorism. It is here in Syria, not in Europe, US or even Panama! Where the history is made and orchestrated by the Syrians, their President, valiant Army, true friends and allies. "A de facto leader! A leader who loves his country and his people, who fought and fight for the preservation of their country! I had never experienced such a fierce fight against a legitimate ruler, elected by its people! And the whole world (Corrupt and invaders from different countries) fighting to destroy it! Proof of its legitimacy and the full support of the majority of the Syrian people! He yes, one of the few statesmen of our time! The other is Putin!!!!!" 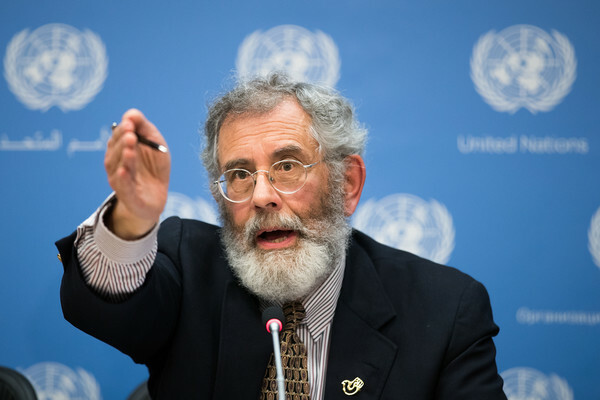 "Always, Dr. Assad is clear, consistent, educated in their statements ... I can understand perfectly their views. He is a man created for project to Syria, the government of Damascus is the representative for the people and anything else...Assad is decent. Really a Great Leader! A Great Statesman! I hope that history, free of manipulation, can do justice to this great man. There is currently no ruler with its characteristics: Equilibrio, culture, courage, tenacity, true love for your country and your people. An exemplary man, admirable, I am your unconditional admirer! The world does not recognize the myriad benefits and changes implemented by it! The West and some Arab countries want is to destroy and steal Syria! They use the most sordid means to do so. Congratulations matter, excellent! 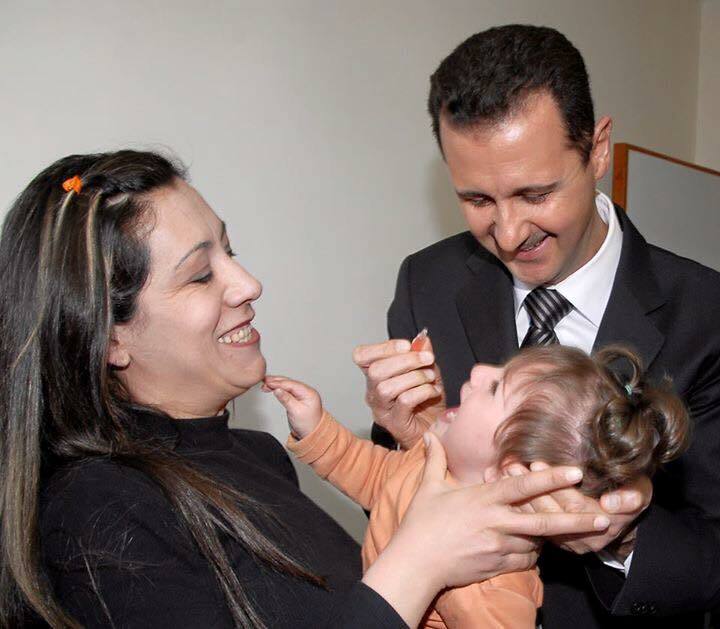 Congratulations Dr Bashar Al-Assad. My respects." "As always, watch / read an interview with Dr. Assad is a lesson of leadership, coherence, morality, ethics, detachment, clarity, honesty, competence, intelligence ... and more ... I have no doubt that the brilliance of Dr Assad, bother, deeply mediocre Western leaders and the world arabic! It annoys me deeply, the press in those countries and leaders, with their leading questions, pre formatted according to the vision of the rulers of their countries. Germany Merkel, yes they lost their sovereignty, as repeated in full the US speech, NATO, etc ...A country today with a high degree of blood of thousands of innocents in Syria, Libya and Iraq ....They have no moral framework! The lucidity and the level of knowledge of Dr. Assad is awesome!" Just wonderful! One of the most compelling evidence of leadership, credibility and love of the Syrian people for their ruler, Dr. Assad and support with full affection statements to Him! Dr. Assad and the Syrian nation, won terrorism! When we talk about terrorism, we include not only Islamic extremists, too, all the invaders from the West and the Arab world! Consider them the worst terrorists, in the name of a "supposed" democracy (they are unaware of the true democracy) invade, destroy, depose legitimate rulers, sucateiam the enconomia, infrastructure, covet the land not belonging les! The countries of the coalition, the allies ever with invading spirit and colonialist not defeated the Syrian people, not deposed President Assad! This is a great victory in recent times! The course of history they wrote was changed! Won Sovereignty! Won the constitution of a people! Won the legitimacy of the vote! Won the true friendship between people who respect each other, that they honor their word, alliances of a lifetime! Dr. Assad and his allies, they presented the world with a victory against terrorism plaguing the world and Propios countries shamefully undermined the Nation Syria! The proof that we can defeat terrorism is through the non-acceptance and partnership with countries that support, feed and use the terrismo to abject purposes, shameful, unscrupulous.